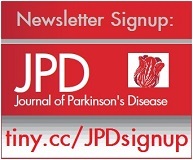 As part of the Quarterly Parkinson's Webinar Series, delivered by JPD, CPT and Parkinson’s Movement, the discussion of specific research topics is brought into the open. The recordings of all the webinars will be uploaded to this page. The latest webinar was a great success and a full house! All the more reason to be sure you sign up for our newsletter to be in with a chance of watch the next webinar live-and-as-it-happens, so you can submit questions and interact with the panel. –Aleksandar Videnovic from Massachusetts General Hospital, Harvard Medical School, USA. –Whether sleep disorders are driving or are a trigger of PD. –The recent study "Risk and predictors of dementia and parkinsonism in idiopathic REM sleep behaviour disorder" (published in Brain on March 1, 2019). View the webinar recording on the IOS Press channel on YouTube, or watch below. The third webinar was a great success and a full house! All the more reason to be sure you sign up for our newsletter to be in with a chance of watch the next webinar live-and-as-it-happens, so you can submit questions and interact with the panel! It took place on December 5, 2018 and the discussion was on the topic: 'Therapies targeting the genetics of Parkinson's disease’. 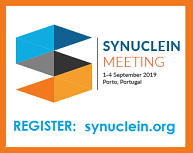 The host was JPD Editor-in-Chief Patrik Brundin and fellow panellists included: Ron N. Alcalay; Ziv Gan-Or; Benjamin Stecher; Gaurav Gupta; and Jonathan Silverstein. The discussion focused on three recent research studies. The topic of the second webinar in the series, which took place on September 20, 2018, was: 'How does Parkinson's disease begin?’ The host was JPD Editor-in-Chief Patrik Brundin and his fellow panellists included Dr Viviane LaBrie, Dr Filip Scheperjans and Dr Jon Stamford. The discussion focused on the 2017 paper by Per Borghammer entitled: “How does Parkinson's disease begin? Perspectives on neuroanatomical pathways, prions, and histology". The first webinar in our quarterly series took place on June 19, 2018. The topic for discussion was: "Does exenatide reduce non-motor symptoms in Parkinson’s disease?” The webinar was chaired by JPD Editor-in-Chief Patrik Brundin and joined by fellow panellists: Tom Foltynie from UCL in London, who let the exenatide trial; Nigel Greig and Dimitrios Kapogiannis from the NIA (National Institute of Aging); and exenatide trial participant Penny Kustow. To read our news item about the webinar, go here; and to view the recording, click below. 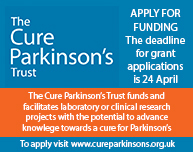 Early in 2018, JPD began working in partnership with The Cure Parkinson's Trust (CPT) to provide information about breaking research news to be featured on the new web portal for people with Parkinson’s (PwPs) called Parkinson’s Movement: parkinsonsmovement.com. Parkinson’s Movement strives to strengthen the position of Parkinson's as a health priority globally: "By providing a genuine, powerful tool for driving change, we can inform and influence the agenda of the wider Parkinson’s community." One section of the site is dedicated to sifting through recent research in order to concisely capture a snapshot of the science and translate it to deliver better understanding for all. Assessing the impact of published PD-related research is done through a panel of experts, researchers and PwPs. Providing invaluable perspective, these panel members rate papers according to their impact and relevance, so that patients can be informed how relevant the latest PD scientific research news actually is. The JPD scientific panel consists of JPD Editor-in-Chief Patrik Brundin and a number of members of the JPD Editorial Board. Communicating about research is a vital aspect of creating awareness. The Parkinson's Movement website features research articles that hit the news and it particularly focuses on debunking myths, balancing over hyped headlines and ensuring the research is placed in context. A number of published JPD papers have already been the focus of attention and a new JPD research study about exenatide was also under scrutiny at the launch of the Quarterly Parkinson's Webinar Series; view the recording from the webinar above. By bringing the discussion of specific research topics into the open, the whole process of rating research will become even more transparent. For details about how to be involved in future webinars, please get in touch: market@iospress.nl. Watch JPD editorial board member Andres Lozano, MD, PhD (University of Toronto, Canada) discussing seep brain stimulation and looking at emerging techniques in which a woman with Parkinson's instantly stops shaking and brain areas eroded by Alzheimer's are brought back to life (filmed at TEDxCaltech).